I have big plans to catch up on my blog and reading this week! Maybe it doesn’t seem like I’m behind on posts, but I’m one book review behind and have a few more posts I want to do, especially being the end of the month (reading recap). I have the house to myself this week so it should be pretty quiet, lots of time to read and write. Yay! This week I’m still working through TransAtlantic by Colum McCann. It’s great and I’m enjoying it so far… unfortunately I’ve been so busy I’m only about 50 pages in, after starting it last week. Hopefully with these next few evenings free I can breeze through the rest of it pretty quickly and count it as a March read. Otherwise, I’m back to orchestra rehearsals and their 30-minute commutes, so I started a new audiobook. 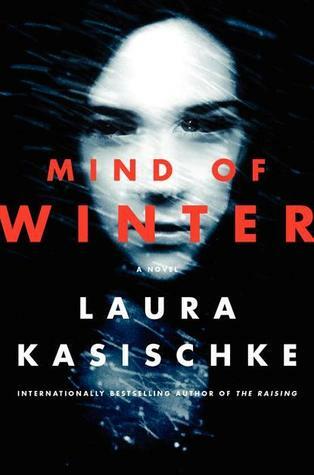 I was in the mood for something creepy and not too long, and so far Mind of Winter by Laura Kasischke is fitting the bill quite nicely. This entry was posted in books and tagged book community, it's monday what are you reading, me, reading by kristin @ my little heart melodies. Bookmark the permalink. I do the audiobook on orchestra rehearsal commutes thing, too! 🙂 Hopefully that one won’t creep you out as you drive back at night, ha. Enjoy!